Smart Glasses: A Visionary Innovation? Do you know the annoying feeling of having to shift your eyes through your eyeglasses or move your head to go from close up vision—like reading a book or looking at your computer screen--to looking at objects in the distance? Or even worse are you constantly putting on and taking off reading glasses? A new technological innovation promises to make these annoyances a thing of the past. Nearly one billion people worldwide suffer from an age-related condition called presbyopia which prevents the eyes’ ability to focus on nearby objects. The condition mostly affects people over 50 and is caused by the eyeball changing shape over time. 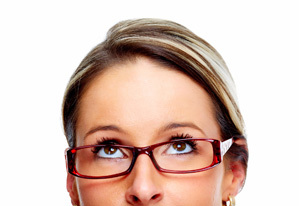 Up to now the best solution for presbyopia has been progressive lenses, but you have to move your head or shift your glasses to see through the different focus areas. Now new breakthrough wearable technology will allow you to instantly shift your focus from close up to far away without putting a strain on your neck. Called Dynafocals, these smart glasses are eyeglass frames fitted with your prescription progressive bifocal lenses. “A sensing chip built into the frames detects the distance to a book, screen or other object and then communicates with the glasses’ nose pads. They then subtly inflate and adjust a few millimeters, just enough to lift the lens to the proper angle for the wearer to see more clearly,” according to a recent report from AARP. The smart glasses are expected to retail for around $150 and will include instructions for your optometrist on how to make the lenses to fit these new frames. On its website, PH Technical Labs says Dynafocals will be available for purchase later this year.